Google.com, the "big daddy" of all search engines, as of April, 2003, has a list of search results featuring many pages and websites devoted to information about and trip opportunities for the Hatun Karpay initiations. So if you are interested, this is the place to look. Google even lists pages in languages other than English--Dutch, Spanish, Italian, for example. If you understand spoken Spanish, you can watch this video of Juan conducting a workshop. Also there are several other videos of Juan, unfortunately, all in Spanish. Dave led a photography tour sponsored by American Photo Magazine. This online workshop shows images with the complete information about equipment, camera settings and narrative. If you're contemplating taking pictures of Peru, this is a must-read website. The site of Ron and Jerrine Grey, owners of The Dreammaker, has photos of many of the sites Juan and his son, Ivan, take people to during the 10-days of initiation. They also give preliminary workshops so people can learn he basics of working with the ancient Andean shamanic techniques before traveling to Peru. Elizabeth Jenkins' website for the foundation she established to further the preservation of the Andean indigenous wisdom. It was under the sponsorship of this foundation that I went to Peru for the Hatun Karpay initiation. The foundation also sponsors other types of spiritually oriented trips to Peru and Bolivia, including the gathering of 144 fourth level priests in August, 2000. Elizabeth also travels extensively, teaching Andean spiritual concepts and techniques of working with energies. Through this non-profit foundation, Elizabeth helps support various charitable projects in Peru. Five hundred dollars (USA) of the cost of the Hatun Karpay trip is tax deductible (in the USA) and is used to finance these projects. Additional donations are gratefully accepted. Joan Parisi Wilcox and John Shannon Wilcox used to have a website, which they seem to no longer support. The following was a quote from it: "Primal Paths is devoted not only to exploring the shamanism of North and South America, especially that of Peru, but also to exploring mystical experience and spirituality in general. Be part of the resacralization of the world by claiming your divinity and expressing your wholeness." In addition to information about trips to the Andes and Peru, and workshops and lectures, they used to offer sound healing and inuitive/psychic mediumship, articles, books and a marketplace. Right now (2016) the only way to learn about what she knows, is via her books. Even if you can not read Danish, read on! For people who can read Danish, this marvelous website contains information about the Hatun Karpay initiation procedures and rituals, plus information about the contents of the weekend workshops about Andean spirituality and shamanism. Those of you who are European may want to contact Anita and Jens Peter Hansen, Directors, to sign up for their Hatun Karpay trips and workshops. Ron and Jerrine Gray of Huntsville, Alabama, USA, sponsor workshops by Juan Nuñez del Prado (he was there in February, 2000) and Elizabeth Jenkins. Also they are now qualified to teach the beginning techniques of energy workings of the Andean tradition. They may be offering trips to Peru for the Hatun Karpay initiation, too. And do check out the other pages of The Dreammaker - lots of interesting offerings. Should you ever be in that area, look up their store. They'll be glad to see you. Peruvian born teacher of cross-cultural ceremonial shamanism Oscar Miro-Quesada has been leading, since 1986, transformational journeys to Peru and Bolivia which combine aspects of initiation and pilgrimage and include ceremonial sites such as Machu Picchu, Tiwanaku and Nazca. Based in Florida, he also conducts regional apprenticeship programs in the USA, as well as facilitating experiential workshops on the integration of millennial and contemporary wisdom teachings and healing practices in the USA and abroad since 1979. He was initiated by don Benito Corihuaman (also spelled Qoriwaman) of Wasao, Peru, in 1985. His academic achievements include degrees in microbiology, humanistic clinical psychology and ethnopsychology. You can read about his impressive professional accomplishments on his site, under "About Oscar." Also, he has an excellent description of the type of "mesa" he uses and teaches others to use. Alberto Villoldo teaches energy working techniques utilized for hundreds of years by Andean shamans. He conducts trips to Peru to visit sacred sites to do ritual spiritual work. He does not offer the Hatun Karpay initiation. Villoldo does not consider this to be part of the traditional Q'ero spiritual practices. 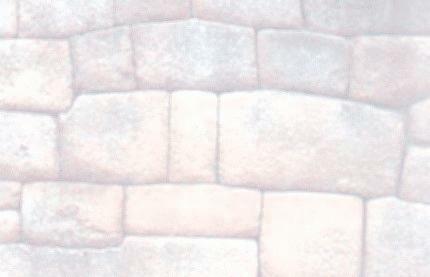  LABYRINTHINA SACRED JOURNEYS TO MACHU PICCHU AND BEYOND! Labyrinthina Sacred Journeys, Labyrinth, Andean Imports, On-line Esoteric Bookstore, Ancient legends and mysteries, Power Places. This is a site well worth perusing. Lots of information here. This is a marvelous site, devoted to taking serious seekers on educational trips to the Peruvian Amazon. Some of their trips offer opportunities to study the medicinal plants of the jungle and to work with shamans, including having an authentic spiritual experience with ayahausca. To do the latter, there are lots of preparatory dietary restrictions and rules that were set by the shamans this group works with. Even if you don't go on any of their trips, there are many informative articles on this site. Accounts of Davies' two treks of this trail 8 years apart, telling of the changes he encountered on his second trip. This website also has a fantastic links site including updated articles of the Inka Trail and Machu Picchu, new archaeological discoveries all over Peru, new theories about the Inka's, Machu Picchu and several other ancient sites. Also included are liks to informative sites about hiking in Peru, several famous explorers, other archaeological sites in South American, Thor Hyerdahl's expeditions and much more. This is a site worth bookmarkng and visiting many times. A wonderful site, devoted to the revival of traditional Andean weaving techniques. In addition, there are lots of annotated photos of Nilda Callañaupa's family and life in her home village of Chinchero, which was originally established as the country estate of the Emperor Tupa Inca. Lot's of photos showing various Chinchero weaving patterns, children learning to weave, and information about the Center for Traditional Textiles that Nilda has established in Cuzco. The link goes to the tourism section of this site. But this site also has many links to Peruvian news sources: papers, television, online news. When planning a trip to Peru, it's good to know about some of the current issues that you might need to prepare for, such as the political situation, incidents of muggings, unsafe areas of certain cities, raised fees and changed rules for hiking the Inca Trail and accessing certain ruins, airlines within Peru, etc. So this South American Explorers site is a valuable tool for checking on these topics. Plus they have "Clubhouses"for the major cities, where you can go for additional information. Peru's official tourist webpage. It's great, as they now have an English website. Lots of informative articles here on archaeology and other areas of interest for people wishing to travel to Peru. Also Bolivia and Chile. 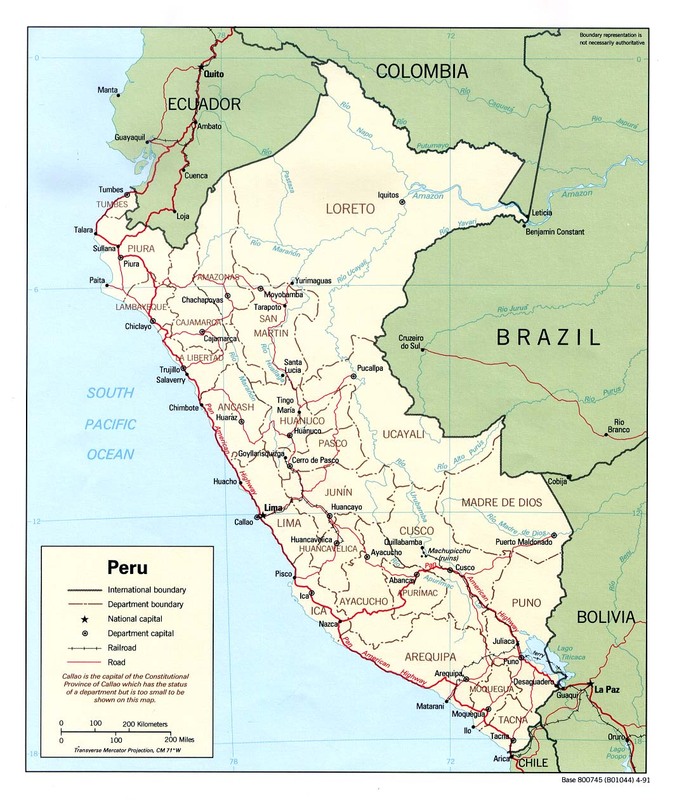 Here's a tremendous resource for ordering any and all types of maps of Peru. The maps of the various provinces may be quite out of date. Also, some, especially the Cusco maps are quite often out of print. But there are a few modern maps of Cusco and Lima. All maps seem to be in Spanish. Also offered are topographical maps of coastal Peru and some interior regions, and geological and metallurgical maps. The University of Texas has a pretty good topographical map of Peru in gif format. I haven't tried to print it, so don't know how well the town names will show up. File size is large, 302 kb. Another map from the University of Texas, this time political divisions only. Same size to print out, but slightly smaller file size of 260 kb. This is the best map of the Sacred Valley I've found on the internet. You can print it out and use that to follow our route and the places we visited.